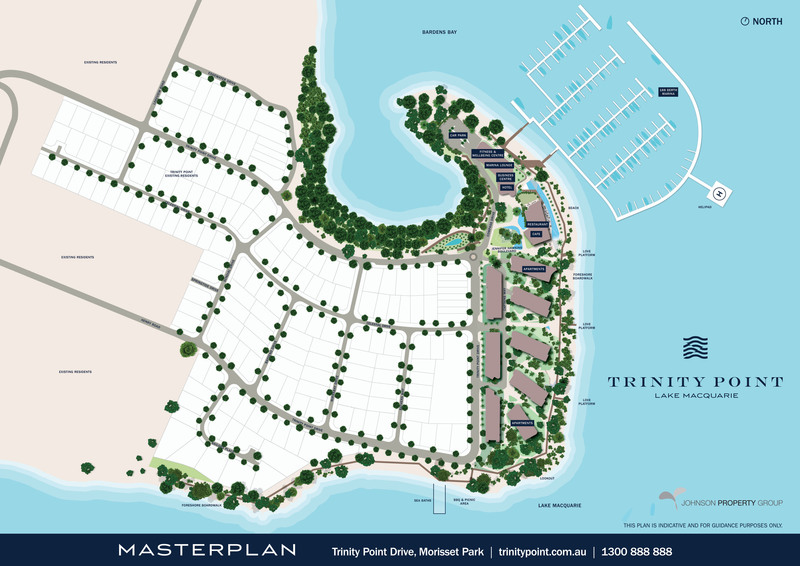 Enter your details here to receive the master-plan for Trinity Point. 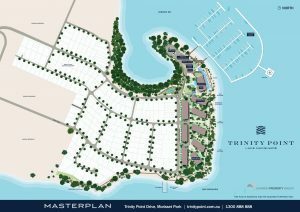 Trinity Point is a luxury residential and commercial estate located on the shores of Australia’s largest salt water lake – Lake Macquarie and is a mere 88 minute drive from Sydney or 30 minute drive from Newcastle. It is 8 minutes from Morisset train station, providing services to Sydney and Newcastle. Once fully developed, Trinity Point will feature 189 residential lots and medium-density housing, 250 residential apartments, a 188-berth marina, 200 seat restaurant and bar with additional outdoor dining, café, a 5 star hotel comprising 65 rooms as well as serviced apartments, business centre, pool, day spa, gymnasium along with public boardwalks and other community facilities. It truly is a marina resort, with plans to be one of the most ecologically sustainable and environmentally friendly marinas in Australia.